Education, business tips and inspirational stories from our team and businesses around the world. 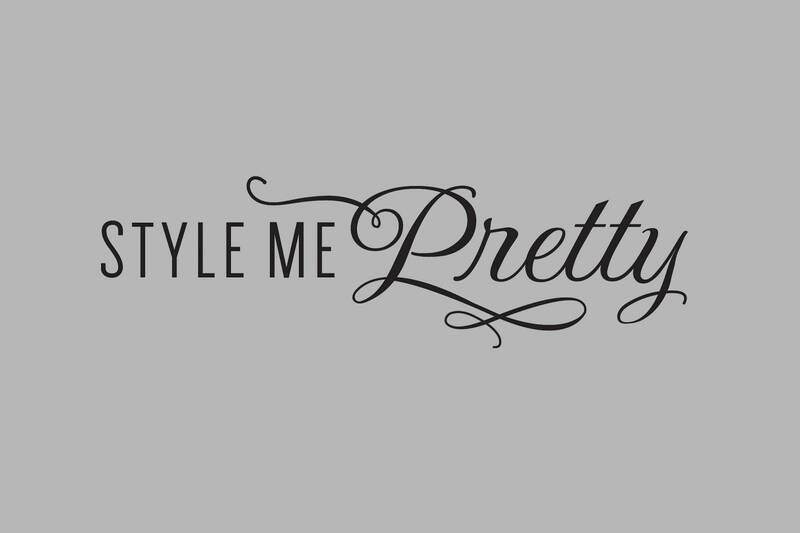 Style Me Pretty was started in 2007 by Abby Larson, when blogging was still a relatively new concept. I'm sure when Abby started, she spent a lot of time explaining to her family and friends what she actually did and why. SMP grew from humble beginnings to becoming on of the largest wedding blogs with over 18 million page views a month! Unfortunately, yesterday they announced they will be closing the popular wedding blog on April 30th, 2018. Now if you've been in the wedding industry for a few years, especially if you're a wedding blogger, this news might come as a major shock. On the other hand, if we take a peek at their history, is it? On Nov 29th, 2012, AOL became a "significant strategic investor in Style Me Pretty". Of course, this sounds all nice and simple, but when you bring in significant investment capital, you are no longer in control. No matter how you slice it, SMP was now at the whim of AOL. Subsequently, AOL sold to Yahoo which then sold to Verizon, eventually leaving SMP under the banner of Oath Inc., a subsidiary of Verizon. Truth be told, we don't know the ins and out of the deal or why Abby sold SMP to AOL, but typically if you need more capital, it's because you aren't making enough. A few months ago, Borrowed & Blue, also announced they were closing because of investor issues, Snippet & Ink closed its popular site too, and many bloggers have been on the receiving end of issues with Lover.ly. What does this all mean? Businesses rise and fall all the time. The wedding industry is still just fine. Microsoft used to rule desktops and personal computing, now Apple has the crown. Nokia and Blackberry were Kings of the cell phone world. Myspace was the ultimate social media platform. Blockbuster was the go-to video rental spot. Blockbuster was in the best position to become Netflix but didn't adapt. Myspace was too rigid and structured compared to Facebook. And everyone remembers Mac Guy vs PC Guy (which perfectly captured why Apple Inc. is leading the way to a $1 trillion dollar valuation). Businesses fail for a variety of reasons and the landscapes are always changing. We work with hundreds of online publishers from Singapore to New Zealand and all over North America and I see plenty of opportunity and success everyday! I am excited about the future of this industry and believe there are great opportunities ahead. When SMP announced their sale to AOL, I knew things would never be quite the same for SMP and wondered if this was a sign of the end. A little while after AOL acquired SMP, AOL began mentioning their need to get rid of some of the websites in their portfolio, and I even began to tell people that I didn't think SMP would make it. If you're a wedding blogger, SMP's closure has the ability to position you to take advantage of some great opportunities. It also means you must evaluate your current game plan and make sure your business plan is on the right track for success. My next prediction is aimed at the websites that rely solely on affiliate sales, ad networks or social media channels for success. I do not believe this is a sound business plan and it will lead to struggles for these sites in the near future. You need to own your income, you cannot rely on others to do the work for you. Etsy recently announced an end to affiliate sales directly from social media channels. Instagram's changing algorithm has left many scratching their head. Pinterest hardly resembles the same platform it once was, and I won't even begin to scratch the surface with Facebook. This is only the beginning. I recently had a client ask to put an affiliate sales ad block on their website from MediaVine. They thought it seemed like a great opportunity to make extra money. Interestingly, what they failed to realize is the network mainly supplied ads from Adchoices (Google's ad network). They could put these ads directly on their site instead of going through a middleman and losing a cut of the revenue. All of these things are important tools, but not as your primary source of revenue. If you don't own your revenue, you will eventually fail. My third prediction is that all the wedding bloggers who are "out of touch" with the local wedding industry, will struggle. The majority of commerce in the wedding industry is local, not national. Other than Kate Middleton and Megan Markle, brides are planning local weddings. National advertising is great, but when you don't properly engage the local wedding industry on your site and through your business plan, things get difficult. Time and time again, I hear wedding publishers dropping their local directories and focus because vendors are "fickle" or "it's too much work". Business is about developing real relationship with your clients. I hate to break it to you, as I survey the wedding industry, the most successful wedding publishers/bloggers are those that focus locally! Grow your business by developing real relationships with the local industry. For those publishers who are willing to make changes and build relationships, the good news is that over $1 million in ad revenue just became available! As others fail, more opportunities and revenue will become available - go get it! Before SMP shuts down, save a list of all the vendors advertising in your area. The SMP Black Book of vendors paid $1200/year to be listed. Filter through that list and find the vendors that fit your brand, then create a marketing plan to reach them. A second thing you can do is look for any content from your local area that you would like to feature. There will be a significant amount of gorgeous content disappearing and it is a great time to get it on your site and reach out to these vendors. Now is also the time to develop new relationships as many photographers and wedding planners had exclusive relationships with SMP. You need to get to know these people and work with them so they begin sending you content and advertising.